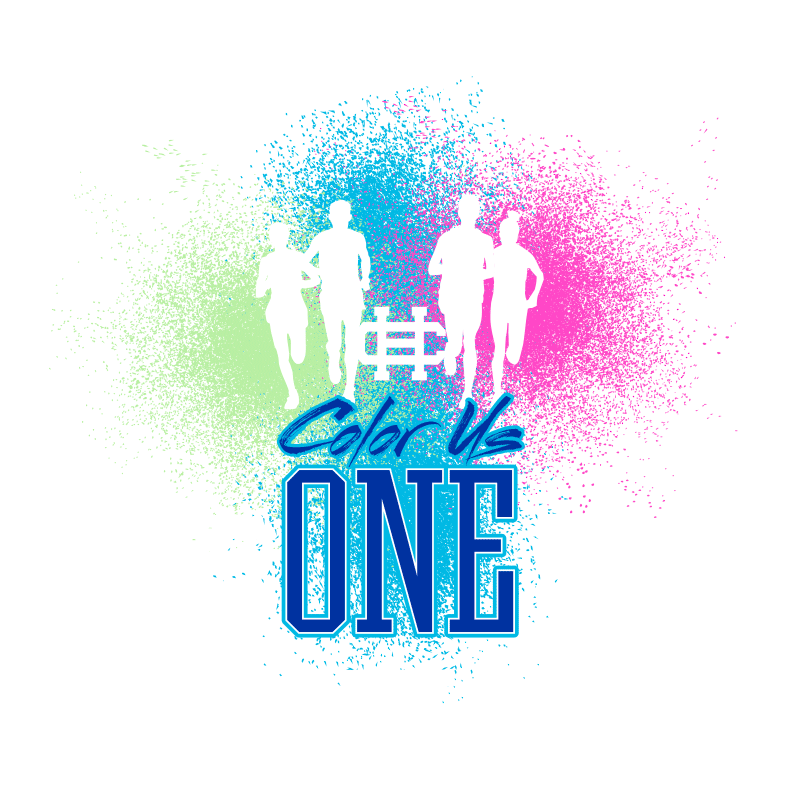 The "Color Us One" fun run event raises funds for Hillcrest Christian School. The logo is meant to convey the colorful fun had by the participants. The logo was used on promotional materials (posters, billboards, etc. ), and the t-shirt used florescent spot colors that impossible to ignore (and loved by the youth who participated in the run).